UMD football coach D.J. Durkin walks off the field with his wife, Sarah, after Saturday's 31-13 win over Rutgers. Photo by Evan Engelhard/Maryland Sports Access. In a world filled with glitzy technology and fancy analytics, we often overlook the human element. The industrialized perception has molded millennials into a generation defined by numbers. Age is the scale for maturity, height and weight draw hasty judgement and the agonized GPA is supposed to measure an individual’s intelligence. But where does the human disposition come in to play? The same thing can be said about sports. If you’re not the proper height or weight, you’re automatically deemed inferior to those who fit the professional, Division I or collegiate mold. There is not anything else that justifies the overdrive in analytics than combines and recruiting websites that compartmentalize athletes with numbers, ratings and stars — from one star (the supposed “runts”) to five (deemed superstars). University of Maryland coach D.J. Durkin, in his first year at the helm of Terrapins football, is showing the old school mantra of culture change, driven by relentless heart and something as simple as having fun, is still the root to life’s endeavors. Durkin took over a struggling Maryland football program last December, right after the Terrapins completed a pitiful 3-9 season. Tension drove recruits away and attendance numbers fell drastically. An 11 full months later, Durkin and the Terrapins outlasted the 14th toughest schedule in the nation with an injury-riddled, youthful roster to finish the regular season at 6-6 with postseason bowl eligibility. Those are the words of a quarterback who, before the 2016 season, had a 5-10 record as a starter under previous coach Randy Edsall. Edsall never meshed with players and repelled recruits because he “didn’t get it,” John Feinstein from The Washington Post said. When asked, “What was the biggest thing Coach Durkin did to this program?” after Saturday afternoon’s 31-13 win against Rutgers, Hills’ response of making football “fun again” came off as a sigh of relief, reflecting a coach who gets it, and seemed as a smack in the face to Edsall. Not only did Durkin come in right away and make football “fun again,” but he doubled the win total from a year ago with a plethora of unseasoned underclassmen. Of the 66 top-tier players on the depth chart, half were freshmen and sophomores and 10 of them started on Saturday’s bowl-clinching win. Johnson, who was rated as a 3-star athlete by ESPN two years ago, currently ranks second in Division I college football with 8.9 yards per carry. Maryland’s diamond-in-the-rough running back isn’t the only one who defied lowly ratings on recruiting sites to have success at the next level. Golden State Warriors point guard and the 2015 and 2016 NBA MVP, Stephen Curry, was rated 3-stars by Yahoo Rivals out of high school and was deemed too “too small” at 6-foot-2, 165 pounds. Well, then, what’s the key ingredient to such triumph? Durkin was never affected by Edsall’s baggage or all of the numbers that stacked against him – the 14th toughest schedule in the country, 33 underclassmen contributing in the Big Ten and a quarterback who had mustered five wins in his first three years. Heck, he wasn’t even affected by politics or Donald Trump becoming the president. A simple culture change was the trick, something America could use right about now. 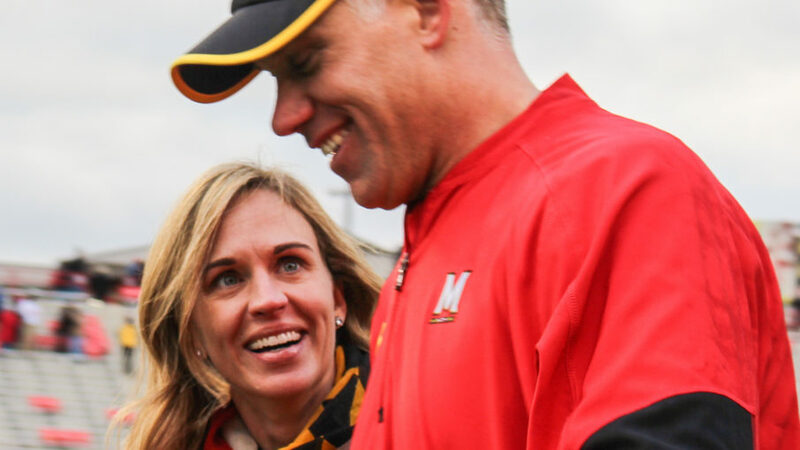 In a world that’s so reliant on numbers – body weight making or breaking acceptance, GPA and SAT scores determining your future, recruiting stars establishing athletic classes – maybe we, as a country, need to pull a page out of Durkin’s and Maryland football’s book: To cling on to passion and just have fun.